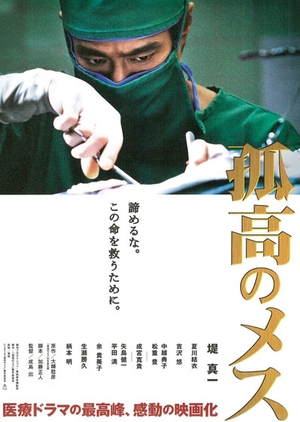 Surgeon Tetsuhiko Touma became a doctor after losing his mother at a young age due to a faulty diagnosis. Now working at at a local hospital in 1989, Touma faces the realities of a flawed medical system, but continues to help his patients regardless of past customs. One day, the mayor of the local city is admitted into the hospital in critical condition. To save the mayor's life, the mayor must undergo the first liver transplant from a brain-dead donor procedure in Japan. The law currently forbids such operations ... what will Touma do? ~~ Based on the novel "Kokou no Mesu" written by Doctor Toshihiko Oogane.